Electric Vehicles come in all shapes and sizes. From golf carts through to electric shuttle vehicles, we keep our readers updated with the latest news from around the world on these emerging vehicles. As other forms of transportation are phased out, businesses, governments and consumers alike are moving towards more environmentally friendly and energy efficient vehicles. Did you know that around two-thirds of Australians are predicted to be driving electric cars in ten years? And yet, currently, electric cars are only for the rich and famous or environmentalists. But, the truth is that switch from gas-powered engines to electric vehicles results in a wide range of environmental benefits. All of which can be enjoyed by everyone. In this article, we’ll reveal the environmental benefits of electric cars. If this doesn’t get you excited for a low-carbon future, we don’t know what will. Let’s get started! Isn’t’ it unusual to hear that up to 3,000 deaths per year are caused by air pollution in Australia? There are many factors which contribute to air pollution in urban environments. But, car exhaust fumes are the most significant. It must be said that Australia has a high air quality. Especially when compared with other developed countries. And yet, it remains a worrying problem since air pollution can cause serious harm to human health. Residents of major cities, such as Melbourne, Sydney, and Perth are at risk of an earlier death as a result of air pollution. One alarming study suggests that men can expect to die roughly 72 days earlier. Whereas, women could live 65 fewer days as a consequence. Air pollution due to the particulate matter (PM) emitted from engines can cause numerous health problems. These include cardiovascular and respiratory health disorders. This “health emergency” is not without significant economic cost either. The healthcare costs caused by air pollution are estimated to be almost $4 billion. Air pollution doesn’t affect everyone equally either. How do Electric Cars Improve Air Quality? Since electric vehicles (EV) do not run on fossil fuels, they emit absolutely no harmful pollutants in the urban environment. Therefore, the switch to electric cars would lead to cleaner and healthier cities. Less pollution would subsequently bring down healthcare costs caused by poor air quality. Thus, life expectancy would increase. Haven’t you heard? Climate change is the biggest threat to human beings and the environment ever encountered. And also, one of the most significant causes of global warming is the production of carbon dioxide (CO2) into the atmosphere. The burning of fossil fuels primarily causes CO2 and other greenhouse gases. Fossil fuels also include petrol to power gasoline vehicles. Australia may be ahead of other developing countries in Europe and North America regarding air quality. But, when it comes to CO2 emissions caused by transport, it lags. CO2 emissions caused by transport have risen since 1990, according to experts. An overwhelming number of Australia travel via car. Around 87 per cent of people commutes to work via car. Therefore transport is one of the most critical environmental problems in Australia. The country desperately needs to embrace ways to reduce emissions from gasoline cars. How Can Electric Cars Lower CO2 Emissions? Electric cars do not emit any CO2 emissions. Following the manufacturing process, which could produce greenhouse gas emissions, EVs are zero-carbon. That’s why many people advocate the transformation of transport to electric vehicles, including public transportation, such as buses. As a result, electric vehicles could reduce CO2 emissions by more than half. According to the 2018 report switching to electric cars can significantly reduce CO2 emissions caused by transport. The problem is “the lack of policy support or incentives” by the government for the transition to electric cars. Therefore, people can continue to drive to work in their cars, without harming the environment with EVs. As already established, the burning of fossil fuels is chiefly responsible for global warming and climate change. Therefore, one of the quickest ways to transition away from fossil fuels is to undermine demand. In other words, if people stop buying coal, oil, and gas, then they stop selling them. However, that’s easier said than done, especially when you consider that over 90 per cent of Australian energy consumption is from fossil fuels, in particular, coal products. Despite the warnings, the demand for fossil fuels is expected to peak around 2023, according to experts. Anything we can do to cut the need for fossil fuel energy would help in the fight against climate change. How Can Electric Cars Reduce Demand for Fossil Fuels? The switch to EVs can play an essential role in reducing the demand for more fossil fuel energy. EVs require no fossil fuel energy to run, unlike gasoline vehicles which are dependent on oil. Just as the demand for fossil fuels is expected to fall, the replacement of the dirty energy sources of coal, gas, and oil, with renewable energy is gaining momentum. Soon enough, Australian energy resources will include solar, wind and hydro energy sources. These will help to create a cleaner and more sustainable society and economy. EVs can almost completely cut themselves off from fossil fuel sources of energy. And yet, many critics argue that EVs are only as green as the energy which they run on. It’s worthwhile saying that this is mostly true! How Can Renewable Energy support electric Cars? Sure, if your electric car uses energy generated from the burning of coal, your impact on the environment is higher. However, as renewable energy reaches record levels of growth in Australia, there are increasing ways to charge the battery of your EV with clean energy sources. But, what is also frequently neglected by many people is that EVs have lower emissions even when powered with fossil fuel energy sources. Electric cars powered with coal produce lower emissions compared with internal combustion engines. Up to 80 per cent of the impacts on the planet is a result of household consumption. Of course, this includes the driving of cars. Many experts argue that we need to find more ways to consume sustainably. Therefore our products need to be more durable and be built to last. People are keeping their cars longer than they did in the past which is good news! However, it is worth noting that the average car owner keeps the same vehicle for only seven years. Many car owners are chopping and changing all the time. 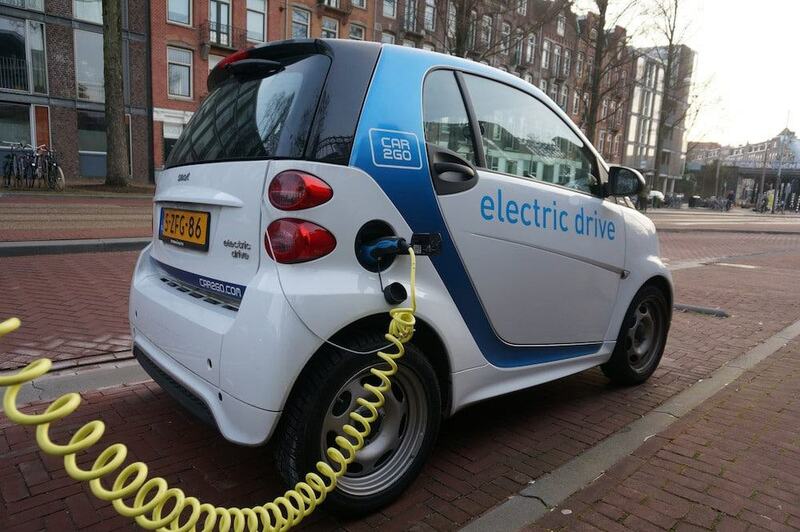 How Can Electric Cars Lead to Sustainable Consumption? You can expect EVs to last for significantly longer than gasoline-powered vehicles. After all, EVs often comes with an 8-year warranty on the battery. This warranty can also be a 100,000-kilometre warranty. Therefore, they can be expected to last significantly longer than the warranty covers. Moreover, the maintenance costs are much lower for electric cars. Their low maintenance costs are due to the fewer number of “moving parts” which go into the production of EVs. For example, the average internal combustion engine vehicle has over 2,000 moving parts. By contrast, EVs have roughly 20. Fewer moving parts inevitably result in lower maintenance costs and fewer breakdowns. In other words, electric cars are built to last. Around 46 per cent of Australians says that they experience noise pollution which negatively impacts their quality of life. Noise pollution isn’t only caused by what people hear on the streets. In Victoria, over 70 per cent of residents says they can hear traffic noise from their homes. Noise pollution isn’t just annoying for people. It’s also harmful to human health and the environment. When the human ear hears a noise which goes beyond 85 decibels, it can cause significant damage, such as hearing loss. However, noise over 65 decibels is enough to increase blood pressure, stress, and heart rate. Even as your body gets familiar with the sounds of the road, the damage continues. How Can Electric Cars Help to Decrease Noise Pollution? By contrast, electric cars are almost silent. They have the opposite problem. Many people are concerned that the absence of any noise produced by the vehicles, requires pedestrians and cyclists to be even more aware of oncoming traffic. There have been suggestions that EVs need to alert passers-by with specific signals. Therefore, EVs could lead to quieter and calmer streets, for a better urban environment. The Environmental Benefits of Electric Cars? Many people are considering switching from an internal combustion engine vehicle to an electric car. It makes sense! There are numerous environmental benefits of electric cars; from improving the air quality of your urban environment to reducing CO2 emissions. If you’re interested in purchasing an electric vehicle, get in touch with us. We’d be happy to help you with your transition to a sustainable and cleaner vehicle. When Tesla unveiled the Model S in 2012, the company captured the worlds attention. But the question always remained, how will Teslas all-electric cars be able to travel cross-country? Unlike a gasoline vehicle, Tesla cars need a particular charging station to refill the battery of the car. The owner, Elon Musk, envisions a country with as abundant a network of Tesla charging stations as currently exist with gas stations. And the Tesla Supercharger network is making it a reality. 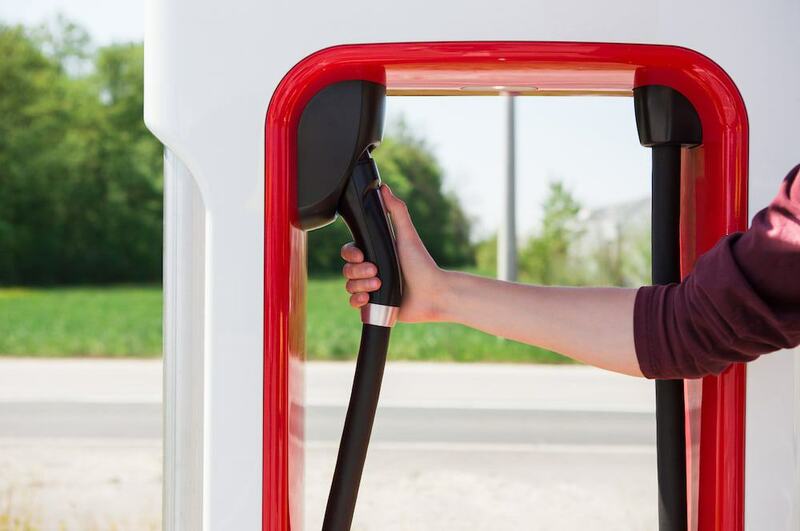 In this article, you learn everything you need to know about the Tesla Supercharger network expansion going into effect. Learn how the Tesla supercharger network version 3 is set for expansion in 2019. And find out how much faster the new stations will charge your Tesla. What Is the Tesla Supercharger Network? The Tesla Supercharger Network is a cross-country collection of Tesla charging stations. Unlike an overnight charging station, Supercharger stations take around an hour and twenty minutes to fully charge your Tesla. So, get ready for the next family road trip in your all-electric vehicle. Tesla electric vehicles feature two charging modes. Level 1 charging supports up to 120 volts of alternating current. Level 2 charging supports quick charging of 120 kilowatts of direct current. A large collaboration between Toyota, Nissan, and Mitsubishi are working to build fast-charging stations, called CHAdeMO. CHAdeMO charging stations are widespread across Europe, Asia, and Canada. Tesla offers adapter cables so that you can charge your Tesla model at any CHAdeMO station. So, with the J1772 connector, your charging network expands even more. Whereas CHAdeMO stations exclusively charge using DC current, Telsa cars are compatible with AC or DC charging. But, charging at a CHAdeMO station means that you don’t get Tesla Supercharger speeds. On November 19, 2018, Musk announced the supercharger network expansion set to take place in 2019. Over the year, Tesla will expand its supercharger network to serve 95 to 100 per cent of all Teslas active markets. And, this expansion means that you can drive from one end of the country to the other using nothing but clean electric power. Teslas expansion ushers in the Supercharger V3, which offers drivers a much faster charge time than version 2. Though Musk does not specify the exact charging time of the new version 3 superchargers, it is assumed to deliver more kilowatts of power than the current 120 kilowatts. The biggest obstacle with all-electric vehicles is ensuring that it has enough range per charge. Tesla is solving this issue by building a vast network of charging stations. Currently, Tesla owns nearly 11,500 Superchargers worldwide, across almost 1,400 stations. Tesla is thorough in building enough stations to enable on-the-road charging. The Tesla Model 3 gets between 215 to 310 miles to a single charge. The Model S gets over 500 miles to a single battery charge. The goal for Tesla is to build stations no more than about 200 miles apart, to allow seamless road charging for their shortest range of cars. And, as the Tesla Supercharger Network expands, travellers can find charging locations further from highways and major thoroughfares. From your Teslas touchscreen, enter your destination in the Trip Planner. The system automatically creates your route to coincide with your cars charging requirements. Your directions automatically take you to the nearest supercharger stations at the necessary time. When you reach a charging station, the Trip Planner tries to schedule it so that you only have to recharge for around a half-hour. Once your Tesla is charged and ready to go, you receive a notification on your Tesla App. Part of Tesla’s expansion of Supercharger stations in 2019 includes urban area’s. Tesla is building superchargers in grocery store parking lots, downtown parking garages, and shopping centres in cities all over the world. The company says that this integration will allow drivers to make charging a seamless part of their daily rhythms. Tesla already has an extensive network of global destination charging locations. These charging stations are located at hotels, restaurants, and shopping centres. They do not charge as fast as Tesla Supercharger stations, but they are great if you’re staying overnight somewhere. Destination Charging stations act just like a home charger does. They offer the convenience of a charging station when you are away from home, but they are not as convenient as supercharging. In 2019, Tesla is going around the country to its Destination Charging locations to install Supercharger V3 stations. With Tesla’s expansion of Supercharger stations, you won’t have to charge your Tesla above 80 per cent. The only reason you would want to charge fully is if you are deviating from highly populated routes. Is the Tesla Supercharger Network Cheaper Than Gas? On average, Supercharging costs around 45 per cent less than the equivalent cost of gas. Each Tesla car model gets a slightly different range per charge. The lowest range is the Model S, while the best range is the Model X. To travel 3000 miles in the Tesla Model S, it costs around $250, whereas the gasoline cost would top $400. The Model X is slightly more expensive to Supercharge over 3000 miles, at around $285. And, the Model 3 drives 3000 miles for approximately $215 for Supercharger fees. Most Tesla Supercharger stations are located in populated area’s near restaurants, shopping, and internet access. So, while you’re servicing your car at a station, you have access to the necessary amenities. Like a gas station, Superchargers cost a fee for charging. Most stations bill you per kilowatt-hour (kWh). The cost to charge your Tesla is $0.28 per kWh. At Supercharger stations that bill per minute, you are billed in two tiers of charging speed and cost. Tier 1 is for charging at or under 60 kilowatts and costs $0.13 per minute. Tier 2 is for charging over 60 kilowatts and costs twice as much, at $0.26. If you are sharing charging power with another Supercharger, then tier 1 cost applies. You pay for charging with Supercharger credits. You purchase Supercharger Credits on your Tesla Account. So, you pull up, plug in your car, and charge it up. If you leave your Tesla idle in a Supercharger Station that is over 50 per cent capacity, you are charged an Idle Fee. The fee is waived, however, if you move the car within five minutes of charging completion. Tesla charges an Idle Fee to keep charging stations open for those who need them. Tesla makes recharging your car a seamless process to get you back on the road quickly. As soon as you plug in your car with the post connector, the flashing green charger LED light will indicate a successful connection. Open up your Tesla App to monitor and track the progress of your charge, or wait for the notification that your charging is complete. You never have to get out your wallet to pay for charging, since all payments are automatically routed through your payment method on file. Every Tesla owner has a payment method on file in their online Tesla Account, which automatically refills your Supercharger credits. Your Trip Planner automatically takes you to Supercharger Stations as needed. All you have to do is enter the destination in your Trip Planner and follow the directions. Your car will make sure you never are stranded between charging stations without power. Where Does Tesla Place Supercharger Stations? Supercharger stations are ideal along highly populated routes and in urban area’s. They provide a convenient charging when travelling long distances or visiting a city. The best locations for Supercharger stations is near hotels, shopping, and eateries. Tesla accepts requests to host a Supercharger station. Hosting a Tesla Supercharger station is a great way to attract Tesla owner clientele to your business. Property owners in populated urban area’s can host different Supercharger stations that are built for limited space. They are built smaller than normal Supercharger posts, but still, deliver a consistent rate of around 72 kilowatts. Charging at an urban Supercharger post usually takes about 45 minutes to an hour. Supercharger stations are open all the time–24 hours a day, seven days a week. Unlike regular gas stations, Tesla Supercharger stations don’t require an attendant to provide your car with service. All you have to do is tell your Tesla Trip Planner where you are going, and it will guide you through the Tesla Supercharger network. If you like this article on the Tesla Supercharger Network, share it on social media. And subscribe to the newsletter for more posts on the future of electric cars. Thanks for reading! The average annual cost of a medium-sized sedan is more than $11,000. Due to market conditions, the cost to operate a fleet vehicle is rising. Fuel prices are the highest they have been in the past four years. Maintenance costs continue to rise. Increased labour costs and parts costs are also part of the fleet operation push for efficiency. Incentives to purchase and operate low or no emissions vehicles continue, but for an unknown length of time. Choose electric vehicles now for your fleet to reduce your overall operating costs and improve your bottom line. Choose carefully, though the difference between the least expensive and most expensive electrical vehicle is nearly $10,000 per year. Read on the learn how to reduce fleet operation costs with electric vehicles. Procurement of your fleet’s vehicles is a significant part of your budget. Choosing the right vehicles for the task is vital. Going green and reducing greenhouse gases are a significant concern. The record-breaking daily temperatures notwithstanding, the right vehicle for fleet use is now electric. The best research strategy assesses all factors that impact the budget, leasing options or cost of ownership, and capital expenditures. Avoid being brand or manufacturer specific at this stage. Focus on vehicle capabilities and performance to match your needs. Whether you’ll be buying, financing or leasing your fleet vehicles, make sure that they are appropriate for the intended use. Who are the people and what are the product or equipment requirements for the vehicle? For example, a small, lightweight vehicle without a traditional boot is impracticable for executive airport transfers. What is the projected route, terrain and road condition? Is the vehicle for a stop and start delivery situation, a long motorway commute or adverse off-road terrain? Fuel type and the vehicle body are important. A large 4 x 4 SUV is probably not the most economical choice for deliveries in Adelaide; a lightweight electric shuttle doesn’t belong on M1. Consider downsizing to use specific vehicles if your operation doesn’t need a bigger vehicle. By reducing unnecessary fleet autos, you could reap valuable fuel savings. For example, you maintain trucks or other vehicles for use on your property; you may find they rarely (if ever) leave the premises. If reduced accident costs is a high priority, consider smaller vehicles for on property-use only. Safe operation of these types of vehicles is under your complete control. It’s worth considering monitoring technologies designed to enhance safety and record driver behaviour. Both vehicles on and off your property would benefit. Some electric vehicles already include advance collision avoidance, monitoring and GPS options. A cost-benefit analysis of driver monitoring and insurance costs should show firm evidence that there are savings. Better accident management goes hand-in-hand with return on investment and lowers costs. Electric vehicles enjoy a discount of up to 25% on comprehensive insurance. For road-worthy vehicles like the Tesla, BMW and Nissan LEAF, there are several safety factors on the side of the fleet operator. Insurers are sure to take note standard safety technology in many electric car models, such as the included safety features that come standard in the new Nissan LEAF. It consists of six airbags, electronic brake force distribution, anti-lock brakes, tire pressure monitoring system and LATCH seating system for children. Regenerative braking systems require less maintenance than petrol-based automobile brakes, thus less chance of an accident due to faulty brakes. Also, drivers of plug-in vehicles are generally considered to be more responsible than their petrol-powered counterparts. The easiest way to explain the reduced maintenance and repair costs is that the typical electrical vehicle has half the moving parts of a petrol-powered equivalent. The fewer moving parts reduce total maintenance costs. Studies suggest total maintenance may be reduced by more than 60% compared to diesel or petrol-fueled car of similar size and use pattern. Oil changes are the most common bit of maintenance necessary with conventional combustion engine vehicles. Even lawnmowers and golf carts require them! For regular fleet maintenance, if you follow a rule of every 3,000- 5000 km, the costs add up. Costly brake system maintenance is something expected for fleet vehicles, but regenerative braking found in electric cars halves the number of expected repairs. Soft braking using the regenerative systems improves the distance per charge as well. There are no spark plugs, carburettors or such in electric vehicles. So no maintaining those. Engine and transmission costs are also negated. Renewable energy in the form of water, solar and wind-generated electricity incentives make electric vehicles especially desirable for short hops. Beginning in 2016, the national infrastructure for road-worthy electric vehicles began placing public charging stations. While the fuel cost for a fleet of vehicles varies by region, the economics of electric vehicles makes sense across the board. Many good examples come from the United States, the state of California, where the highest number of plug-in cars are registered in North America. In California, the average price of regular petrol fuel was $3.55 per gallon ($1.33/litre) in 2018 – the highest price of any of the 48 contiguous United States. Meanwhile, its residents pay just $0.16 per kilowatt hour for electrical power. Commercial accounts spent even less per kilowatt hour. The car in California is of medium efficiency, 20 miles per gallon. This works out to $2,662.50 for a year of driving (15,000 miles) The same car, if an all-electric Tesla, will cost just about $240. With Brisbane’s average petrol cost of 134.5 cents per litre, a year of driving will be $5,334. The electricity cost, even at 28 cents per kWh is less than $500. Capital outlay for electric vehicles can be considerable. The initial cost of an electric vehicle for road use in Australia can be double that of an equivalent diesel or petrol powered car. On the other hand, special purpose vehicles like shuttle buses or tractors often have similar costs. Data is available for fleet operators to crunch their own numbers. While it may take a decade or more to recoup the cost difference in fuel alone, add in the savings in repairs, maintenance and insurance. Electric models are typically more expensive than petrol-burning models of comparable size and technology. However, the price gap is closing. Battery costs and hybrid technology are decreasing the difference in price and convenience. So Why Aren’t There Many Electric Cars on the Road? Australia is slow to adopt electric road-worthy vehicles for many reasons. One is the cost. Unlike the specialty electric vehicle market, highway electric autos in Australia are limited to only a few brands and models. All at the top end! This is changing slowly. However, the electric highway for Australia is still a few years off. Public charging stations in the major cities are few and far between. The electric revolution is taking off in small fleet operations. Dramatic savings comes without major capital expenditure when you replace inefficient petrol engines with electric vehicles for short hauls. No flammable petrol or diesel cans on the premises, no fumes and very little noise from your shuttle or service vehicles. No specialised charging systems necessary. Most small electrics are plug and go. Australia does not yet have a national zero emission incentive program to encourage electric vehicle adoption. However, existing local and state incentives to adopt renewable energy plus the lower cost of electricity as fuel are compelling reasons to choose electric vehicles. As you look at the use of your vehicles, electric makes sense for short distances. Hop-on and off trips are incredibly rough on petrol-fueled vehicles. Especially brakes and engines. Guess what electric vehicles don’t have? Case by case, electric may not be the answer. For example, long haul freight over rough terrain is impractical, given the weight of the battery and distance between recharges. However, where noise and emissions are a big concern, like on a golf course or inside a building, electric wins out. For road-worthy electric vehicles in the low and mid-price range, a detailed cost comparison will find capital outlay to be similar. If your fleet operation needs to bring down expenses, electric vehicles are a way to get the job done. Choose the right vehicle for the purpose. Many activities are particularly best suited for small electric vehicles rather than their noisier, smellier, petrol engine counterparts. Electric vehicles require less maintenance because they have fewer moving parts than petrol driven vehicles. Want to learn more about how an electric vehicle can fit into your fleet? Keep reading this blog and ask our experts. Contact us today! More communities around the world continue to embrace neighbourhood electric vehicles (NEVs). Take Lincoln, California, USA, for example. Now boasting more than 200 NEVs, these alternative cars have already helped Lincoln reduce emissions by 327 kg. And they save the Lincoln residents who use them 25,000 litres of petrol per year. In a world with an increasing focus on carbon neutrality, the low-speed electric vehicle may offer an important alternative to fossil fuel dependency. Let’s explore how NEVs are helping to lead the way into an “electric” future. NEV makers do not intend for their cars to replace automobiles. Instead, they represent a new “daily driver” alternative. Especially for a quick trip to the corner shop or a student’s daily drive to secondary or senior secondary school. But what exactly is a NEV as opposed to a standard automobile? Let’s look at a generic definition for this special class of vehicles that includes golf carts and other four-wheeled vehicles of similar size. Most NEVs meet the following specifications: maximum weight of 1,360 kg and a top speed of 40 km. In places like the US, they may operate on roadways with a speed limit of up to 56 km. NEVs come in many makes and models and are manufactured by companies throughout the world. In recent years, China has made significant gains in the electric vehicle industry including the manufacture of NEVs. NEV sales in China continue to rise representing a crucial factor driving Chinese urbanisation. No matter where they are manufactured, NEVs provide an affordable, convenient option for people who’d like to invest in an electric car but don’t have the resources for a high-end model such as a Tesla. The first NEVs were electric golf carts. They remain popular, especially in golf course and beach communities around the world. NEVs accommodate two people, either seated side-by-side or tandem. They can be as open as a golf cart or as enclosed as an automobile. The latter include many of the amenities of a car. Electric motor powered, they rely on lithium-ion batteries. Batteries take anywhere from four to six hours to recharge depending on their size. NEVs prove energy-efficient, compact, and small. That makes them great for densely populated areas where traffic and parking represent significant obstacles to even short excursions for groceries or the bare necessities. While there are many NEV manufacturers around the world, France’s Renault and the United States’ Eli Electrics have received much attention as of late. Debuting at the 2009 Frankfurt Motor Show, the eye-catching Renault Twizy has taken Europe by storm. Manufactured in Valladolid, Spain, it is categorised as a quadricycle. It has a maximum range of 100 km. Sales in France began in March 2012 with other European market introductions soon following. Since 2016, global cumulative sales have totalled 19,432 units. Unfortunately, Twizys have faced obstacles expanding into markets in Australia. But they continue to help Europeans reduce congestion and pollution in major cities. Eli Electric Vehicles manufactures the Eli Zero. Headquartered in Long Beach, California, the Eli Zero offers electric transportation for highly frequent, short-range trips. 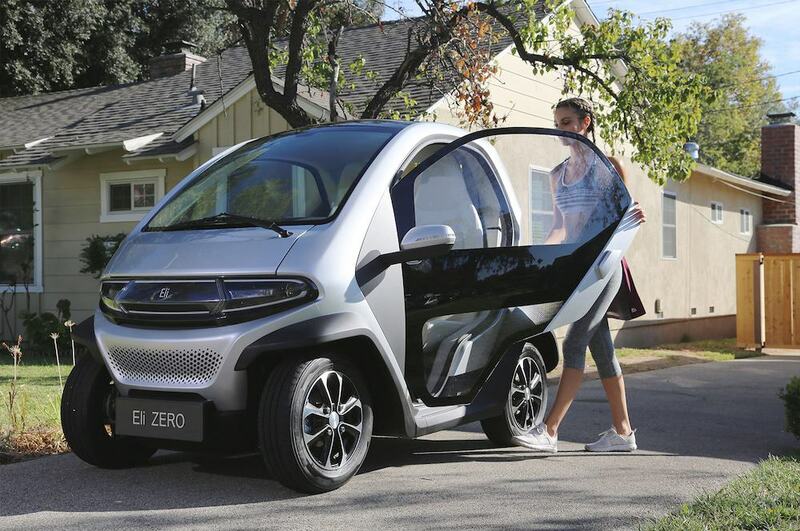 Founder Marcus Li envisions the Eli Zero as a way to reconnect drivers with their neighbourhoods and cities. He sees it as part of a larger vision to reinvent the cityscape through new modes of transportation. Eli Zero represents Li’s first attempt at a NEV. But he sees a bright future for this type of vehicle. After all, today’s global private transportation models remain unsustainable; especially in populous countries such as the US, India, China, and Australia. Most car treks are solo passenger trips. They occur within a less than the five-mile radius. According to Li, using massive vehicles to run these frequent trips makes no sense from an efficiency standpoint, let alone an environmental one. The first Eli Zero’s will come on the US market in early 2019 at an MSRP of $10,900 (AU$15,313). That makes them more affordable for low-income households. NEVs deliver big when it comes to fuel efficiency and savings. For example, it costs approximately AU$1.40 to operate an Eli Zero for 137 km. And those kilometres represent clean ones with zero emissions. Whether an Eli Zero, Renault Twizy, or electric golf cart, NEVs come with many benefits. They simplify short errand-running excursions especially when it comes to parking. They allow vulnerable driving demographics, such as teenagers and the elderly, safe and accessible alternatives to expensive, high-speed vehicles. And they lead to better city planning and development. NEVs requires just one-third of the parking space of a regular vehicle. This means a potential reduction in the need for out-sized parking lots. They travel at no more than 40 km per hour, optimal for residential areas. And they could foreseeably lead to a decrease in the number of automobile accidents and fatalities seen in major cities. In densely populated and congested areas, NEVs could reduce traffic loads. Since they prove nimble to navigate in urban areas, they could also reduce inner-city traffic. While the electric vehicle (EV) market continues to face steep challenges when it comes to gaining a foothold in Australia, NEVs could offer an attractive transitional step between petrol vehicles and EVs. As Australian officials grapple with ways to promote EV car sales, they will need to look at a variety of innovative ways to shift consumer buying trends, too. 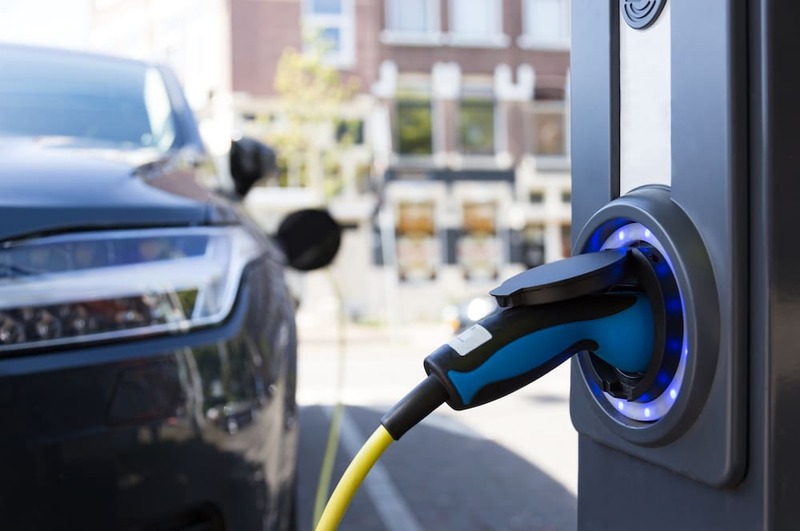 Factoring NEV trails and access into city planning efforts would provide consumers with more opportunities to become comfortable with the concept of EVs. This could, in turn, lead more people to purchase EVs sold in Australia. But what about well-established cities? Can their infrastructure be reconfigured to support NEVs? The South Bay Subregion of Los Angeles County, USA, is hard at work to promote increased NEV use. They hope to reduce fossil fuel emissions and urban congestion. They also hope to restructure local cityscapes and move away from sprawl. So far, the results have proven both positive and exciting. South Bay’s efforts demonstrate that even a built-out, the mature suburban area can benefit from promoting the use of NEVs. South Bay city planners also hope that NEVs will make the transition from standard petrol vehicles to EVs more affordable for the public at large. Metropolitan areas such as South Bay are actively reinventing their cities to accommodate not only NEVs but also this new mindset. By gradually re-organising low-density destinations into compact, high-density shopping areas, they reduce sprawl. They also make shopping areas easily accessible by NEVs. It’s a great win for these cities and the environment and has important implications for Australian communities, too. While all vehicles impact the environment on some level, NEVs prove more efficient than standard vehicles. They contribute to a smaller carbon footprint and boast zero emissions. They cost about 3.5 cents (AU) per 1.6 km to run. And they consume less than one-fifth of the energy that a conventional car requires. NEVs also come with other less obvious benefits. They contribute to local economies and build a cohesive community by encouraging consumers to shop within an eight-kilometre radius. They provide safe transportation alternatives for teens, the elderly, and individuals living in densely populated areas. When incorporated into city planning efforts, NEVs lead to less urban sprawl. They reduce fossil fuel dependency. They contribute to communities defined by inclusiveness rather than the isolation of constant commuting. Climate change concerns continue to highlight the necessity of coming together as a global community to reduce greenhouse gas emissions. Remaining mobile and autonomous are highly prized rights in our societies, too. The future of transportation will be defined by a careful balancing act between our desires and the needs of our planet. Today, transportation accounts for nearly 20 per cent of carbon emissions in Australia. Aggressively fighting climate change must start now, and it requires thinking in innovative ways. While so much of today’s transportation conversation focuses on autonomous vehicles, autonomous vehicles don’t offer solutions when it comes to urban congestion. But NEVs can drastically reduce inner-city congestion along with the carbon footprints of major urban areas. They also prove quieter and far more affordable. NEVs won’t provide the answer for every individual. But they could help those in highly populated areas or planned communities whose trip to the grocery store or commute falls within speed limits that are city-appropriate. Neighbourhood electric vehicles are not designed to replace automobiles. But they make sense for neighbourhood errand-running and other frequent trips. NEVs offer environmentally-friendly alternatives to standard vehicles. They also appeal to people in need of better transportation options such as teenagers, the elderly, and those in densely populated areas. Are you interested in learning more about the exciting future of neighbourhood electric vehicles? Contact us today to learn more about the ever-expanding frontier of electric car options. Is This the World’s First All Electric Utility Truck? Pickups have evolved over the decades. The world has seen technological advancements that offer versatility in every department and offer a wide range of experiences. The truck’s purpose has not changed much, as hauling goods is a utility that is crucial for both commercial and recreational purposes. You may think that truck manufacturers have tried and tested everything by now; Rotating frames, solid and independent axles, a range of gearing that puts to sleep tractors and Bonneville flats racers alike. Trucks have taken numerous forms throughout the years. However, the truck world has yet to see one very prominent feature used in the design of pickups. With the increase in hybrid and electric vehicles, a new contender has struck the consumer truck market and is making waves. The Rivian R1T is the markets first ever all-electric pickup. That’s right; electric utility trucks are no longer a dream of the future. Welcome to 2019; welcome the Rivian R1T. Since debuting at the 2018 Los Angeles Auto Show, the Rivian R1T has shown much promise. It’s fulfilling the claims of being the electric dream truck folks have been wishing for. It’s 2019, and the R1T is preparing to come off the shelves. It, along with its equally luxurious SUV sibling, the R1S, should be available by the end of 2020. Rivian is a US-based manufacturer out of Florida. Manufactured in Normal, Illinois, there isn’t much normal about these rigs. The R1T and R1S are all-electric, battery-powered vehicles, ready for every season of on and off-road driving you take on. The Rivian R1T has revolutionised the word truck. Rivian has cut no corners in the design of their vehicles, as the R1T stands out as one of the most dynamic, feature-packed vehicles ever built. We don’t mean complicated useless gags. We’re talking utilitarian, no-nonsense gear and features that tech geeks and overland pros alike will love. Let’s take a look at the features of the R1T starting from the floor. Equipped with air suspension that gives you a three-inch lift on demand, you get 14.1 inches of ground clearance from the factory. You can run 33s without a problem. Air doesn’t only control your ride height. Armed with an onboard compressor, you can inflate and deflate as the trail demands. The R1T makes quick work of raft inflation once you’ve reached camp or bicycle tube changes at the trailhead. Behind each wheel is a 200 horsepower independent torque vectoring electric motor that puts power where you need it when you need it. The independent motor design offers specific capabilities not yet offered in any offroad vehicle. Be it ice, sand, or three-wheeling; you won’t have a problem. The beautiful central display shows the torque vectoring of each motor, allowing you to see exactly what your truck is doing. No one-tire-fires, only pure traction. Offroad capability isn’t the first thing that comes to mind when discussing electric vehicles. However, that will soon change. The skid-plated composite underside of the Rivian can carry the entire gross vehicle weight within a two-inch point of contact. It’s as flat as a level, meaning no catches when cresting questionable terrain. This durable and smooth skateboard platform makes for a worry-free trail drive as high centring can be easily managed. However, high centring will never even be a threat. This electric wheeler has frontal downward facing cameras to show you where you’re aiming your tires if you come up a steep and blind incline. You’ll see this on the in-cab screen as well. Its no race car, but zero to sixty in three seconds from this 750 horsepower truck makes the typical “sports car” look a little stone-aged. The R1T might change the way you view your hotrod. This power output is thanks to the four independent motors previously discussed. The R1T puts out an astonishing 1032 foot-pounds of torque. That’s enough to pull you away from traditional trucks altogether. The hypercar rivalling acceleration and competition-beating torque isn’t the only on-road capabilities this vehicle offers. Reports claim the handling to be as great, being agile and holding its own in the corners. This is in part due to its low centre of gravity. The volume of the truck is mainly body and cab components because of the position of the motors and batteries at the wheel level. So what gives this truck the juice to perform such astonishing feats? Let’s check it out. The Rivian features a solid frame chassis. This frame centres around the four batteries that run the Rivian R1T. The frame rails bordering its edges protect the battery like a safe. The full skidplate composite bottom protecting the underside and cab covering the top protects the battery from common wheeling threats. The one main enemy of batteries is water. The Rivians design completely seals both the batteries and motors vulnerable components. This design, along with other safety measures allows for the Rivian to ford up to a meter of water. The power given to the RT1 is well taken care of. It distributes to the four motors and through the independent axles for impressive suspension travel. The R1T holds its own as a trail rig and can knock out some racecar’s zero to sixty times. But there’s more than impressive numbers with this truck. The R1T harnesses cameras, lidar, radar, and ultrasonic sensors to keep you and yours safe on the road. Another huge milestone in these electronic adventure machines is level three autonomy. This lets you turn your primary focus on vehicle life while the truck takes care of the road. Though accidents in a Rivian seem impossible, Rivian aims for an IIHS Top Safety Pick Plus as well as a 5 star NHTSA crash test rating. With no explosive fuel, a wide, low centred stance, and plenty of cushion around, the Rivian should perform very well safety wise. Though the Rivian is an element worthy rig, if you found your self inside one, you’d have a hard time believing it. The R1T’s interior makes for an incredibly comfortable ride. Like the spacious seven-seater R1S, the R1T offers plenty of leg room, seat adjustment, and comforts found in most luxury vehicles. While you let the R1T tote you home from a long day on the trail, you relax in a trimmed chic environment. Matte wood trims the interior along with polished metal accents. Its a luxurious blend of rustic and modern styling that nature lovers and artists will love. Nothing is overbearing, but everything is eloquent. Navigation and display units are large and clean-lined. The beautiful interior is excellent, but what makes a Rivian so worthy? Despite its elegant design, the interior can handle the elements as much as the rest of the truck! Dirty dogs and shoes are welcome aboard. There are rubberised and sealed floormats, and the upholstery is durable, water wicking, and allows for easy cleaning. The electric vehicle aspect means no pesky driveshaft tunnel to trip over. The door jams even feature a self-charging pop-out flashlight. Slide in gear till it’s packed and hit the road! Another way the R1T is revolutionising the pickup truck as a whole is by its ability to do that, pick-up! The R1T has more storage than you can imagine. Let us start with the front. Pop the hood on the R1T, and you’ll notice something shocking. As you may have guessed, there is no engine up front as the four electric motors are wheel-side. In its place, you have a large 11.6 cubic foot storage compartment for gear and groceries alike. The frunk, as Rivian calls it, is lit up and accessible. You pop it like a hood and store anything you need to take with you. Moving rearward, we stop behind the cab. Underneath the rear passenger seating, accessible from the exterior of the vehicle is a well-executed gear tunnel. This dual sided accessible tunnel can store anything from snowboards to golf clubs and locks as the truck does. The central truck aspect of the R1T, the bed, is also pushing the limits of truck design. Featuring an electric tonneau cover, electric tailgate drop, and locking gear strap that alerts your phone if it’s cut, the bed of the R1T ensures every piece of equipment you haul has a safe and secure spot. Looking deeper, underneath the bed itself resides the full-size spare tire. 2020 is right around the corner. As the delivery date of this truck comes closer, more information will surface on its components and variation. Upon its release, we will see the ways it is applied to peoples lives and what kinks Rivian may need to iron out. But the future of electric utility trucks looks quite promising with Rivian, and we look forward to the evolution and integration of a rig such as this. Keep locked into our blog to stay up to date with the Rivian RT1, and other electric vehicles soon to hit a market near you! Welcome to the modern, futuristic Digital Age. It’s finally the era for electric cars. If you’re considering buying an electric car, shuttle, or golf cart, you should understand the underlying benefits of doing so. After all, an electric vehicle is going to be a worthy investment. Plus, electric vehicles are becoming more and more popular in Australia. Statistics show that the number of electric cars sold in Australia more than tripled in the last five years. It’s true that there’s still a long way for Australia to go when compared to the electric car market in other countries. Australia doesn’t compare with Norway, the leader in market share for electric cars, for example. Still, driving an electric vehicle in Australia isn’t a big deal. So, if you’re looking to make the purchase, there are plenty of reasons to do so. Consider the following seven benefits of electric cars for more information. Have you ever heard a car drive by that didn’t have a working muffler? Has a noisy golf cart ever distracted you on the course? Gas-powered vehicles are just noisy, in general. This is even true for the passengers of them. Sure, many gas-powered vehicles market themselves as one of the quieter models. Electric vehicles, though, are considerably quieter. They significantly reduce overall noise pollution when driving. This is true for both the passengers and anyone watching the futuristic, silent machines drive by. Plus, there are additional perks to that reduction in noise pollution for businesses, in particular. Company cars are often used not only to transport but to impress guests of honour. For example, you might be looking to cultivate a partnership with a fellow company. So, you want to showcase your relevance in this modern, eco-friendly world. Well, driving a Tesla or other electric vehicles, then, is going to be your best bet. The smooth, sophisticated, sustainable, and quiet rides will be sure to impress anyone. Don’t forget how annoying it can be to stop at gas stations all the time. Sometimes, you’ll be in the middle of your busy day when the light indicating low fuel turns on. If you’ve ever gotten frustrated by the simple inconvenience of stopping at a gas station, you’re in luck. One of the greatest benefits of driving electric cars is their convenience, in general. After all, the technology is available to keep an electric vehicle charged for hundreds of miles. That’s similar to a regular tank of gasoline. The better news is that electric cars can even be charged in the ideal location: your own home. It’s true – all you have to do is charge the vehicle up every night, and it will be ready to roll the entire next day. It’s up to you, though, to plan and ensure there’s always enough battery for your trips. Consider, for one thing, how much more affordable it is to buy electricity compared to gasoline. There’s no need to spend hundreds a month to get to and from work. Besides, electric engines take longer to break down over time. Instead of relying on pesky vapours and chemicals from gasoline, these engines use clean electricity. That means you won’t be spending nearly as much on future repair costs. Perhaps the best news to think about is the fact that electric vehicles aren’t that expensive in the first place. At least, not all of them are if you know where to look. That’s why it’s essential to continue your research on electric vehicles. You might even find sellers who specialise in the type of electric vehicle you need – whether cars, shuttles, or golf carts. In addition to all of the immediate perks of driving an electric car, you should search for more incentives. One study shows that the Australian government is willing to offer specific incentives for buyers of electric cars. Examples include national fuel efficiency regulation, as well as direct financial incentives. Here we are today with the technology that allows vehicles with multiple passengers to travel hundreds of miles on electricity alone. We have come a long way from travelling by horse. Electric cars and shuttles, though, are still new enough to the modern consumer base. That means, especially in Australia, they represent progress. In other words, they represent a growing global trend towards environmentally conscious citizens. If your family, or even business, decides to buy an electric vehicle of any sort, you’re ahead of your time. This is true, in particular, if you have a brand or business you want to associate with other eco-friendly friends. Imagine yourself driving around in one of the new Tesla electric car models. Not only would it be a sophisticated, sustainable driving experience. You’d impress any guest in your cool, modern transportation. Plus, driving an electric car is beneficial for the sake of your family, too – and not just for its reputation. If you drive children in electric cars, they’ll grow to appreciate environmentally friendly habits just like you. Perhaps one of the most important things to remember with gas-powered vehicles is the associated health hazards. It’s obvious that eco-friendly electric cars, shuttles, and golf carts are becoming popular for a significant reason. Climate change, including the human causes behind it, is a serious matter. Though there are many reasons to recognise climate change, you’re aware that the ozone layer of the entire planet is affected by the continuous use of gas-powered vehicles. You understand that increasing greenhouse gases can make the oceans rise to harmful levels. What about the immediate effect on any user of a gas-powered vehicle, though? There is a direct health risk when it comes to gas-powered vehicles – especially those that are poorly maintained. The potential dangers of carbon monoxide are not worth the risk of using these vehicles. Electric vehicles, then, protect more than one cause. They are safer for passengers than gas-powered vehicles when it comes to dangerous gases. Plus, they don’t hurt the already threatened atmosphere. You and your family deserve to use a car that is free from the dangers of carbon monoxide. Don’t forget about the many future generations to come, though. By driving electric cars, you and your family will be protecting the atmosphere by actively fighting climate change. You likely only care about one thing: the bottom line. You want to know whether or not buying an electric car is worth your investment. That’s reasonable because it means you’re smart about considering all options. Take the time to continue your research into purchasing electric vehicles in your local area. It’s true that Australia’s electric vehicle market is not the highest in the world. Still, if you’re willing to shop around, you’ll find the ideal ride that suits your needs. After all, electric cars, shuttles, and golf carts are more efficient than gas-powered alternatives. You deserve to make the most of all the sustainable technology of these vehicles. In the long run, buying one of these eco-friendly cars will only be worth your investment. If you value efficiency at all, you’ll understand how valuable these up-to-date products are for the modern person. So, don’t waste any more time deciding whether or not an electric car is suitable for your transportation needs. Australia needs to catch up with the rest of the world in reacting to the dangers of climate change. At this point in the article, you should have a pretty good idea of why buying an electric car is a good idea. There’s no reason you should miss out on all that they have to offer. The benefits of electric cars are worth your investment. After all, isn’t the environment itself worth the investment of your time and energy? Our planet is suffering on many counts due to humanity’s pollution and waste. As a responsible citizen of this planet, you know how essential it is to live a sustainable lifestyle. Perhaps you’re looking for more than one way to maintain that eco-friendly lifestyle. If that’s the case, you’ve come to the right place by reading this article. Remember, making the point to fight climate change is beneficial in itself actively. The future of the human race deserves to breathe the cleaner air from driving electric cars, for example. Plus, maintaining sustainable habits are simply good for your reputation. We are here to help you, your business, and your family all continue to maintain sustainable habits. We know how important it is to develop environmentally conscious habits to invest in the world’s future. That’s why we encourage you to check out this article on ten ways Australia can keep fighting climate change. Ask anyone on any street corner in the world who the electric vehicle manufacturers are, and “Tesla” is probably the name you will hear most often. While Elon Musk and his company have garnered most of the reporting ink on the subject, they are not the only game in town, or country or continent. Aside from Tesla, there are two very separate groups of electric vehicle manufacturers in the world today. The first is made up of the “legacy” or big-name brand gasoline car makers. The second group is a very entrepreneurial lot. This group is made up of mostly start-ups with one or two “Concept” cars travelling from show to show. Some of the most innovative and forward-thinking designs are coming from this group. They may be able to do an end-run around the legacy manufacturers who are slowly weaning their buyers from gasoline to electric. Let’s take a look at some of the models these two camps are offering to give you a better idea of what you can expect to find on your local roadways in the next few years. But first, let’s take a moment to define what an electric vehicle is and which ones we’ll be comparing here. The term covers a broad spectrum from electric buses that are starting to appear in cities to the more common electric golf carts and utility vehicles. For this article, though, we’re going to talk more about sedan style or SUV style cars. There are two types of vehicles that are currently classified as electric vehicles. The first relies solely on electric power. The most important selling feature of this Battery Electric Vehicle (BEV) usually is its range figure. How far the car will travel between charges is vital to know as is the length of time it will take to recharge. Hybrids (Plug-In Hybrid Electric Vehicle), on the other hand, have a backup gasoline engine which kicks in once the electric power is depleted. These vehicles are so commonplace they hardly warrant any press these days. They also play no role in the discussion of electric vehicle infrastructures. For many years, the spread of electric vehicles has been hampered by the lack of infrastructure to support them. There still aren’t charging stations on every other street corner like there are gas stations, though Tesla alone is said to be adding thousands per year. Also, the range increases seen in the last few years is making EV ownership more practical anywhere. There is currently one new electric vehicle manufacturer poised to begin operation. A new manufacturer in Queensland, ACE Electric Vehicles, is targeting release of its first electric car by the third quarter of 2019. They will offer two models, both priced below $40,000. 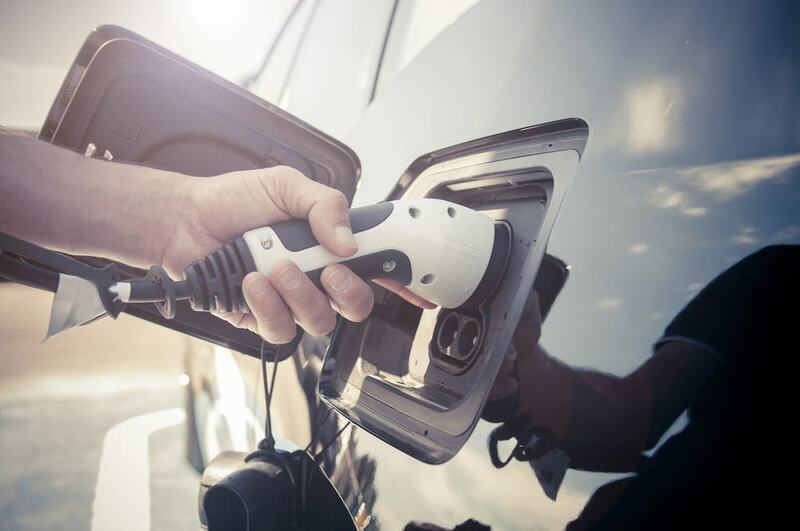 Melbourne-based power chain assembler SEA Electric was one of several manufacturers calling on the government to provide more support for electric vehicles. Other manufacturers including Toyota, Mitsubishi, Isuzu and Nissan have indicated they would also be willing to consider manufacturing here if there were more incentives offered to customers to purchase electric vehicles and a more significant commitment to funding the infrastructure needed. 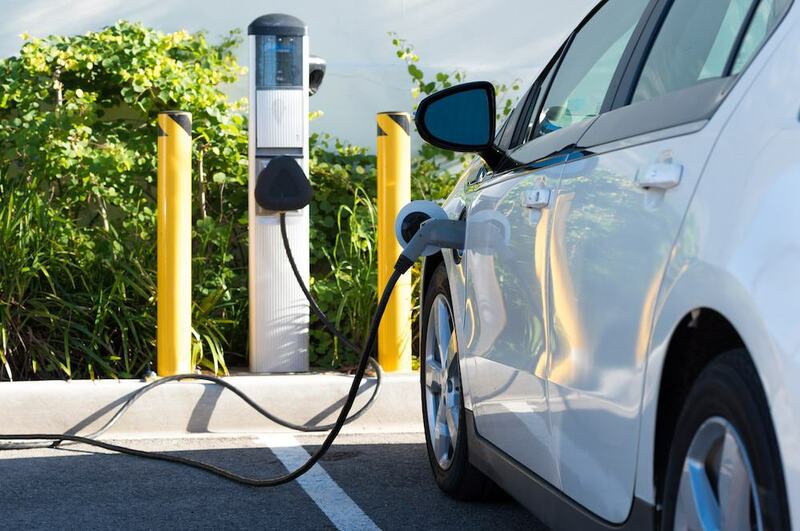 There has been an uptick in the industry according to the Electric Vehicle Council. They note that the industry is gaining momentum with improvements in sales as well as an increase in the range of models available (from 16-23). This was made possible in part by an increase in the number of charging stations available. The other significant factor, they say, is the willingness of businesses to invest in electric for their fleet vehicles. Australia is not the only country seeing an uptick in electric vehicle adoption. Germany is also offering incentives for EV purchases and is investing heavily in its charging infrastructure. As a result, EV sales have increased by 23%. It’s not only governments and individuals involved in growing the popularity of electric vehicles. Telekom, a substantial European telecommunications company, is also preparing to meet the 2030 deadline for all German cars to be emission-free. They are converting more than 12,000 old distribution boxes into fast-charging stations. First let’s look at some of the offerings from some of the best-known, or legacy, car makers. It’s important to understand that not all these vehicles are going to be available in all parts of the world. Usually, however, there is a very similar model or a close cousin offered by a partnership between manufacturers. Audi has the A3, a Sportback e-Tron and introduced the e-Tron Concept at the 2018 LAS Auto Show. They will start production of the Concept in 2019. BMW has five electric models. Its small i3 has a very tight turning radius, carbon-fibre construction, and all the precision controls you could want. Its range is 114 miles, but it can be extended with an accessory. At $44,900 its price is squarely between “economy” electric models and the “luxury models”. Chevy has the Volt and the Bolt. The Bolt is the long-range vehicle of the two and goes 238 miles on a charge. 17,000 Bolts sold in the US in 2017, making it the third largest seller. Ford has three models but is planning to expand that to 40 models on the road by 2022, 16 of which will be BEVs. One of them, the Ford Edison, is described as an electric Mustang-inspired utility vehicle. This example demonstrates what all the legacy manufacturers are doing. They are slowly moving to BEV and are counting on the popularity of the gasoline versions of each model to help “sell” the idea. Mitsubishi/Nissan has two electric models. The Nissan Leaf has a price point of $29,990 and some self-driving features (which they’re calling ProPilot Assist) depending on the model. The Renault Zoe is only $23,496 making it the most affordable on the road with a decent driving range of 250 miles listed as it’s range. Tests of that number showed a more realistic range of 186 miles in the summer and 124 when tested in winter. It’s Europe’s number one selling EV. The Smart ForTwo Electric Drive should be considered in a class of its own. While it’s $20,409 price tag is technically the lowest of all, it’s size is even more diminutive. Its pickup is also tiny. It does 0-60 in 11.5 seconds and only has a range of 160 km. This slow acceleration means this is a car for a particular driver who needs to run around town or has a very short commute. While it’s been said the legacy car manufacturers are slowly moving over to EVs, many start-up firms are using EVs to get into car manufacturing. Their offerings frequently include highly customised features designed to attract early-adopter buyers with the price tags that go with that. Faraday Future FF-91 should have been launched in 2018. But the company has been teetering on the edge of bankruptcy. It is a futuristic vehicle in many senses, with windows you tap to tint, review mirrors completely replaced by cameras, and an app on your phone replacing the key as well as controlling your temperature, seats, and more. Byton EV SUV is another Tesla rival which will go on sale in 2019 for 45,000. It offers a 250-mile range and 0-60mph in around 5 seconds. Interested attendees got an actual test ride in the prototype, so it’s much more likely this car will be available in 2020. It’s way passed concept. Fisker EMotion is designed by Henrik Fisker and is another rival to the Tesla Model S, not just in power but also in price. 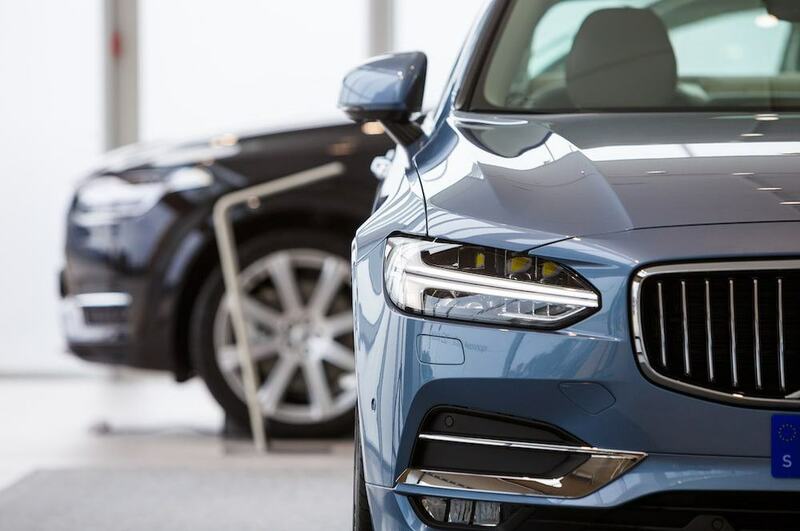 It will feature a 400+ mile range and will eventually support autonomous driving modes thanks to radar and cameras integrated into the front of the car. It goes into production in 2019 and is expected to cost $129,000. A Croatian hypercar manufacturer makes Rimac C-Two. It has been announced as the fastest electric vehicle doing 0-60mph in 1.85 seconds. That beats out the Tesla Roadster. It will also boast a 404-mile range and a recharge to 80% time of just 30 minutes. There will be a limited production run in 2019. Rivian R1S is an off-roader designed to tackle the great outdoors. First seen at the LA auto show in 2018, there will also be a truck/pickup version. Pre-orders were being taken at the show for just $1,000, though reviewers recommended waiting until the car is close to being production ready before placing an order. More that are coming include the Morgan EV3 (late 2019), a custom made electric version of the classic Morgan three-wheeled vehicle (two-wheels in front, one in back). It looks a lot like the original race cars of the 1920s and 1930s. And the largest maker of electric vehicles is not Tesla, but BYD. The company is a Chinese manufacturer whose cars aren’t for sale in most markets. The company was named “BYD” before the Internet was developed so it would appear first in the phone book listings of car companies. BYD grew to become 5% of China’s total car market by the late 2000s. It has recently begun showing up in select American business fleets. From there, it’s expected to grow to be a worldwide seller slowly. With so many great offerings from electric vehicle manufacturers available, the acceptance of BEVs and the number we see on local roads is bound to continue to increase. First will be the cars from the legacy manufacturers, many of which look like their gasoline counterparts. Soon, though, the unusual looking grill on several of the concept e-cars will be spotted. All these new cars are bound to spawn new options and innovations in many other areas of our lives as well. 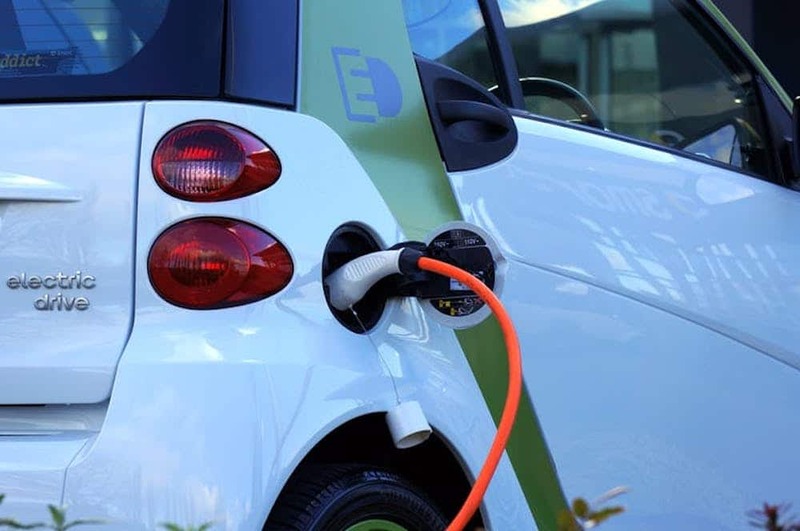 One way to keep on top of it all is to check out the blog at All Electric Vehicles for the latest news on Australia’s electric vehicle manufacturers and industry. Ben Pon, Sr., a Dutch VW importer had a significant stake in the creation of the VW Microbus. He sketched the first rough outline of the proposed design in a notebook on April 23, 1947. Then, VW engineers brought it to life. The VW Microbus or Kombi (Type 2) became symbolic of freedom and the global counterculture movements of the 1960s and 70s. It served generations of young people through the transition from the “road trip” lifestyle to having kids. 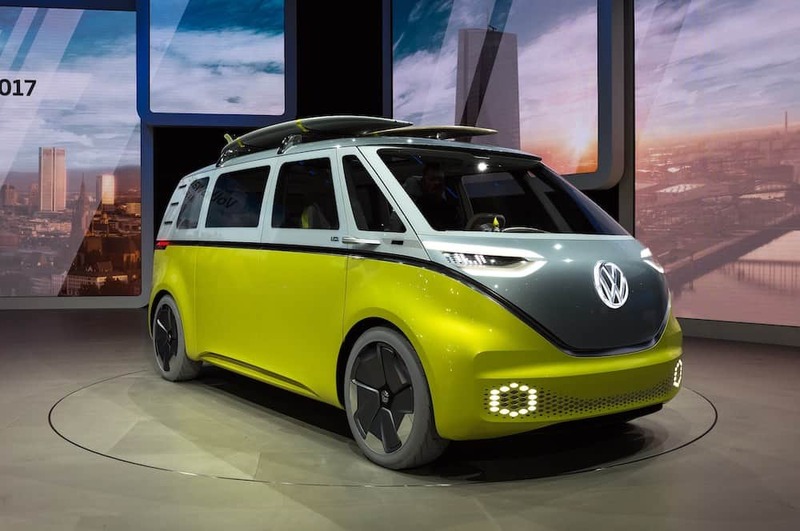 VW wants to recapture the spirit of the Kombi (or, Microbus in the US) with the I.D. Buzz, one of its latest electric vehicles. Scheduled to enter production by 2022, the I.D. Buzz has won several awards at auto shows and earned the blessing of Pon’s son. Let’s look at how the VW I.D. Buzz will revolutionise the electric vehicle market. Back in 1950, the VW Microbus boasted all of 30 hp. It was low-tech and low-power, but people loved it. The concept felt roomy and fun, and the vehicle proved affordable. A faithful following of loyal VW bus drivers soon emerged. While the VW Kombi’s design represents a quirky homage to the past, there’s nothing low-tech or low-power about this reinvented version of everybody’s favourite van. The I.D. Buzz boasts a 111 kWh battery pack in the floor of the MEB chassis and packs 369 hp driven by electric motors sitting on each axle. It features all-wheel drive and will have an estimated EV range of between 500 to 600 kilometres. The MEB chassis refers to the VW’s Modular Electric Drive kit, which will feature in all of VW’s forays into the electric vehicle world including the I.D. Crozz, VW’s take on an electric SUV, and the I.D. Vizzion, a sleek stunner set to compete with Tesla. What’s more, at fast charge stations (like the 17 recently installed along the coast of Queensland), they’ll prove capable of recharging to 80 per cent of their energy capacity in a half hour. According to Dr Herbert Diess, Chairman of the Board of Management for the Volkswagen brand, VW won’t stop until the automobile manufacturer has secured its position as the iconic vehicle maker of the electronic age. In other words, an electric vehicle for the masses. While Diess’s outline of Volkswagen’s goals heading into the electric age might seem ambitious, the I.D. Buzz remains a potent part of the plan. Not only is it set to make VW a significant contender in the zero-emissions market, but it has lessons to teach other automakers, too. The second electric vehicle concept that has been released for production by VW, the company has outdone itself when it comes to added features at an accessible price point. With 55.88-centimetre wheels and net-zero body overhangs, the I.D. Buzz maintains clean, crisp lines and modern, timeless design features. While its two-toned paint job and front V hearken back to the Type 2, the bus that started it all, nothing about the vehicle mimics the past. The I.D. Buzz gives off a unique visual signature with a light strip that surrounds the bus. Its LED headlights communicate the vehicle’s status using hexagonal segments acting as “eyes.” And it provides lots of room for a variety of activities from camping out in your vehicle to transporting cargo and materials. It boasts the front trunk of the original VW Beetle and provides ample space for people and things alike. The I.D. Buzz is also making headlines for its inclusion of autonomous technology in the 2020 model. The fully automated version of this “I.D. Pilot” mode may be in production as early as 2025. VW hints at this with the I.D. Buzz’s pop-up laser scanners, fold-away steering wheel, and pop-up laser scanners located in the roof for Level 3 autonomous driving. It also boasts an augmented reality heads-up display. But VW makers aren’t stopping there. At the 2018 Hannover Commercial Vehicle Show, they released the I.D. Buzz Cargo concept, a vehicle set to handle a variety of work-related and unique transportation needs. Measuring 1,976mm wide, 5,048mm long, and 1,963mm tall, the I.D. Buzz Cargo boasts a maximum payload of 800 kilograms and rides on the same MEB electric architecture as VW’s other electric vehicles. The Cargo comes with a lithium-ion battery pack with a capacity of 48kWh. But it can be upgraded to the 110kWh like the I.D. Buzz. It boasts an EV range of 322 to 547 kilometres depending on the battery size and also gets an 80 per cent charge in 30 minutes. But that’s where the differences between the I.D. Buzz and the I.D. Buzz Cargo End. In the Buzz Cargo, gone are the I.D. Buzz’s side windows. The interior features a unique setup for three passengers, with a single driver’s seat and bench for all passengers. The bench accommodates two people on the passenger’s side and folds down for maximum utility. The driver’s seat can swivel 15 degrees to the right when stopped or operated in autonomous mode. The rear doors are wide-opening cargo doors, and it sits on utilitarian 50.8-centimetre wheels rather than the I.D. Buzz’s 55.88-centimetre wheels. Because the batteries will sit so low on the floor of each vehicle model, passengers will prove delighted by the spaciousness of each bus. The electric powertrain is significantly reduced in size from its gas-guzzling predecessors. It will measure just five metres long, which equates to unprecedented space for people, boxes, tools, and other objects alike. What’s more, each of these new models represents a fully electric vehicle, which means zero emissions. At a time when the planet evidences the dramatic beginnings of climate change, it’s crucial that CO2 levels get reduced. Dramatically. Volkswagen has taken up this imperative while still keeping its customers in mind. Currently, VW offers the Golf GTE, an innovation in automotive engineering. It proves stylish and comfortable and boasts the performance and handling of a sports car. But at the touch of a button, you can switch into fully electric, GTE mode. VW is also developing a plug-in, petrol-electric hybrid that’s a serious stunner. The T-Prime concept car represents the next generation of Sports Utility Vehicles (SUVs). Instead of buttons, it’s powered through voice and gesture controls. It also features an interactive touchscreen. The hybrid engine combines a turbocharged 2.0-litre four-cylinder petrol engine with an electric motor producing 100kW and 350Nm. Beginning in 2020, Volkswagen will also start releasing its I.D. line of vehicles, a compact class of fully electric vehicles featuring a personalised driving experience and semi-autonomous features. The I.D. is being compared to the VW Beetle and the VW Golf because of its compact design. 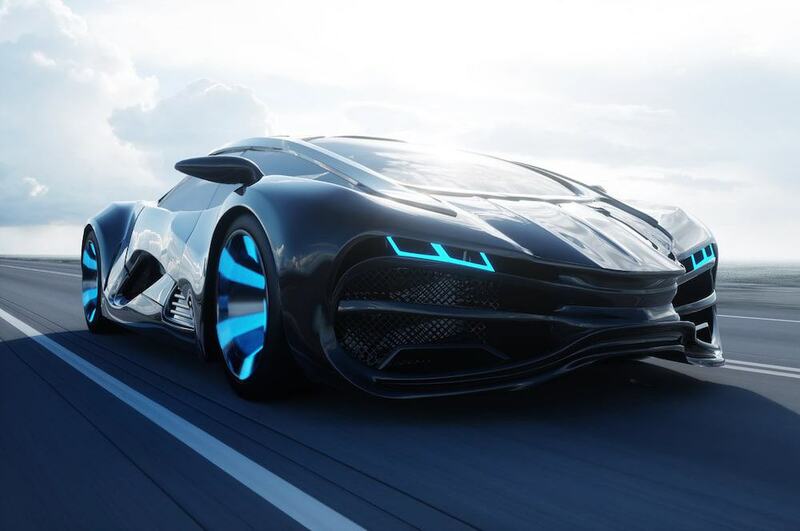 VW is wagering on this car as the future of the company. Powered by a 125 kW (170 PS) electric motor, it can go the distance at 600 kilometres between charges. VW’s newest take on the Crossover Utility Vehicle (CUV), the I.D. Crozz proves interactive and sporty. It produces zero emissions and has an EV range of 500 kilometres, which means less EV range anxiety for drivers. Its battery has the same charge time as the I.D. Buzz and Buzz Cargo. Unlike other car manufacturers such as Tesla who are only now beginning to dabble in affordable vehicles, VW won’t accept anything less than the ability to mass-produce affordable electric cars and buses. They have invested heavily in e-Mobility technology in a bid to make alternative driving technologies a reality for everyday people. This could prove a massive boost to Australia’s EV industry, which has seen lagging sales numbers in recent years. Despite the expansion of EV infrastructure such as the Queensland electric superhighway, many Australians remain averse to owning an electric vehicle. But Volkswagen is working hard to make electric vehicles an attractive, attainable proposition with its line of I.D. models. And the Volkswagen electric car I.D. Buzz might prove the most exciting innovation yet. It combines the vintage appeal of the VW Kombi with all of the bells and whistles, including autonomous driving technology. What’s more, the I.D. Buzz Cargo version takes utility vehicles to the next level with loads of personalised features. Are you interested in learning more about the latest electric vehicles from makers such as Volkswagen? Or, maybe you have questions about electric vehicles and which one’s right for you and your needs? Learn more about the newest green technologies and what Australia needs to do to combat global warming aggressively. Is Rivian’s Luxury Electric SUV a Range Rover Killer? Tesla killers. As with any new electric car manufacturers, Rivian’s new line of luxury electric vehicles has been labelled this by the media. Since launching in 2009, the Midwestern startup has kept a low profile. But after unveiling two electric cars at the LA Auto Show, they won’t be able to fly under the radar any longer. That said, their target audience won’t be Tesla’s power suit-wearing crowd. Instead, they’re going after the “Patagonia” market, granola-eating adventurers who want a reliable (even autonomous) off-roading option. Here’s what you need to know about Rivian and the latest news on electric cars. Of course, this remains a short-sighted categorisation of Scaringe, Rivian, and the emerging SUV market. The electric luxury SUV market is getting quite crowded. Yes, Tesla remains just months away from the big reveal of its new Model Y, a smaller version of its luxury SUV, but the competition doesn’t end there. Audi has started production of its e-tron, and Mercedes Benz gleefully showed off its fully electric EQC this year. 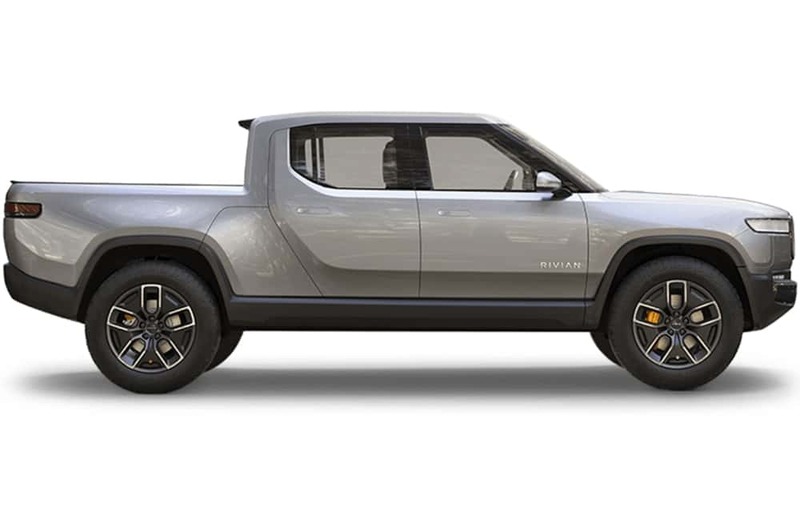 Both are slated to hit the market in 2020 along with Rivian’s two forays into the EV market. And we can’t forget about the Jaguar Land Rover I-Pace to the VW I.D. Crozz. Chinese companies, such as SF Motors, NIO, and Byton also want a piece of the action. Competition from China means a crowded marketplace for Rivian, but one it hopes to dominate. Of course, Rivian still has work to do when it comes to carving out a strong market niche for its new electric offerings. And it’s one that’s never really been seen before. Scaringe has expressly aimed at the outdoor enthusiast market with the proclamation that he wants to appeal to the Patagonia-wearing crowd. He claims it’s a demographic ignored mainly by electric vehicle automakers until now. But the real work may involve convincing this crowd to buy into Rivian’s all-electric pickup truck, the R1T. For better or worse, the company’s appeal to a very different demographic than the traditional construction working, hay baling crowd. Priced like a Range Rover, the Rivian R1T will target customers who care about the environment and don’t mind getting muddy. With features like a luggage hatch that can fit snowboards and golf clubs, Rivian may be on to something. But despite the crowded market, Rivian’s number one proposition remains the R1S. Let’s take a look at its specs, why it’s being touted as the world’s first electric adventure vehicle, and whether or not it represents a Range Rover slayer. Rivian’s website lays out the essentials when it comes to the R1S SUV. It also makes some hefty promises that we’ll have to wait to see come to fruition. If, indeed they do. That said, from the top down, Rivian’s assembled a group of engineers and designers with unique backgrounds who may be capable of delivering. Designed for rapid acceleration and a smooth ride, the R1S is designed to appeal to the surfing, mountain biking, and outdoorsy family crowd. Underscored by the design of the vehicle’s interior, the R1S not only proves roomy. It also contains an interior built for durability and easy cleaning. That means sturdy upholstery and many wood elements. Although Rivian has yet to go into production, Scaringe told visitors to the LA Auto Show that what customers should expect to receive in a couple of years looks very similar to the two models on display. These ranges prove slightly higher than what Rivian claims the R1T will get. The pickup truck version also seats two fewer people. Similarly, the 180kWk R1S SUV will only boast a capacity of five, too. Both the R1S SUV and the R1T pickup truck will feature similar speeds and acceleration times. The base models will accelerate from zero to 97 kilometres in five seconds. The higher specs will do it in just over three seconds. These similarities all stem back to the same quad-motor layout. Each wheel gets powered by an electric motor, which translates into all-wheel-drive performance with razor-sharp precision. Like other fully electric vehicles such as the VW I.D. Crozz, the Rivian R1S will feature advanced self-driving technologies. Claiming Level 3 autonomy on the road, the R1S promises an eyes-off, hands-off approach. How will it achieve this? According to Rivian, the R1S will come fully equipped with cameras, ultrasonic, lidar, radar, and GPS technologies. This technology would place the R1S in a class of its own as an autonomous off-roading vehicle. But only if the engineer and design team at Rivian can live up to these ambitious and unprecedented promises. Learn more about self-driving technologies and the future of driving. While its promises appear lofty, particularly in the current electric vehicle climate, Rivian has committed to start delivery as early as the end of 2020. That’s when they’ll start deliveries of models featuring their two largest battery packs. The 105kWh base model is set to debut in 2021. What makes Rivian’s timeframe ambitious is the release of both the R1S and the R1T at the same time. But considering the similarities in terms of mechanics and platform, perhaps Rivian hasn’t bitten off more than it can chew. We’ll have to see moving forward. According to Rivian, pricing for the R1S will begin at AU$89,619. This mid-range cost puts it within striking distance of the Jeep Grand Cherokee SRT and the Range Rover Sport. This pricing also allows Rivian to significantly undercut the estimated price tag for Tesla’s upcoming Model Y. The company is already accepting pre-orders with a $1,000 down payment. But does the R1S represent a Range Rover killer? To put this in perspective, let’s take a look at Jaguar Land Rover’s iPace, the company’s first fully electric vehicle. The debut of the iPace, an SUV-style vehicle, continues to receive rave reviews. What’s more, its more affordable price (starting at AU$97,206) places it AU$14,063 below Tesla’s cheapest Model X. Of course, this remains a significant distance above the starting price for the Rivian R1S. So, we’ll have to wait and see just how much people are willing to pay for the Jaguar name. The comparison of the iPace and R1S also proves somewhat inadequate. On the one hand, the Jaguar Land Rover iPace appeals to the high-end luxury crowd who would generally opt for a Tesla but might prove swayed by the Jaguar name. On the other hand, Rivian hopes to hit the “Patagonia” sweet spot by appealing to outdoorsy adventurers who want to shrink their carbon footprint while getting lost in nature. On their website, Rivian has even gone so far as to describe its driving range in terms of a round-trip journey from San Francisco to Yosemite. They want a piece of the weekend warrior market, and they want to appeal to families on the go. That’s a different demographic than the one the Jaguar Land Rover iPace or Tesla’s Model X and Y SUVs hope to win over. Will the Rivian R1S prove a Range Rover slayer? Perhaps, if Jaguar Land Rover makes good on its claims of introducing a revamped all-electric Range Rover onto the market soon. If Rivian can deliver on its current list of promises and establish a specific niche in the luxury SUV market by appealing to outdoor adventurers and families, then, it will be well-prepared for an onslaught from Jaguar Land Rover. How well Rivian can compete with the Jaguar Land Rover brand will depend on its showing starting in 2020. But one thing’s clear, Rivian is preparing for a big splash onto the EV market; one that includes right-hand drive vehicles for markets like Australia, the UK, and Japan. Interested in learning more about the future of luxury electric vehicles coming to the Australian market? Or, maybe you’d like to find out more about how Australia can work to combat climate change aggressively? Check out our post about the international effort to avert global warming and how zero emissions vehicles could pave the way for a healthier future for Australians. Electric vehicle (EV) technology continues to surge forward, meaning more powerful vehicles that can really go the distance. They’ve also emerged from their awkward, boxy stage ditching the dumpy spaceship-look for racer appeal. Chargers have improved, and cities around the world are scrambling to install them along with other infrastructure to facilitate transportation in these zero-emissions vehicles. 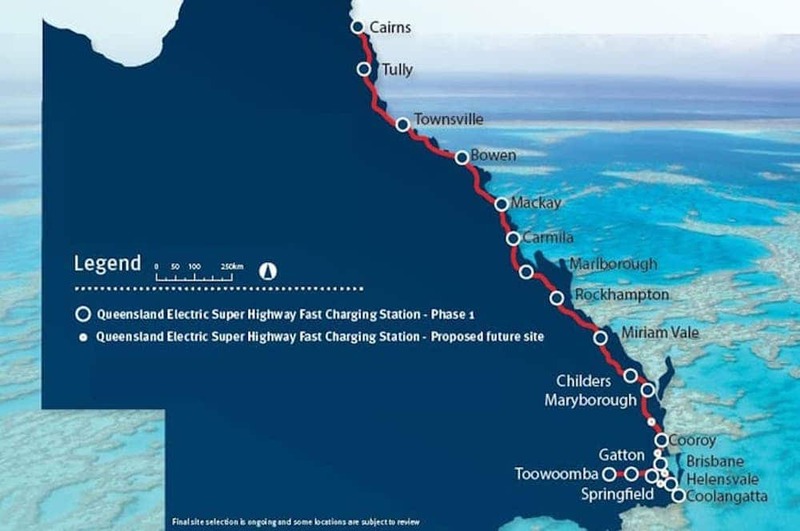 Queensland now boasts an electric car superhighway along its coast. Are you ready to get in on a piece of the electric vehicle action? Read on to find out more about Queensland’s electric car superhighway, and why now represents the ideal moment to check out electric vehicles for sale and jump on this fast-moving trend. Australia is leading the way when it comes to new infrastructure to accommodate electric vehicles. And while electric vehicle (EV) sales in the country have historically lagged behind those of other nations, things are changing. From 2016 to 2018, the number of Queensland residents who owned an electric or hybrid vehicle nearly doubled from 700 to 1,300. That said, changes need to occur to get more electric vehicles on Australian roads. With increased amenities for electric vehicles, including high-speed charging stations, more and more electric vehicles will be seen on local roadways. What’s more, a new generation of electric vehicles is making the prospect of owning a zero-emissions vehicle not only more palatable but even exciting. In July 2018, the Department of Transport and Main Roads in Queensland developed an ambitious plan. To create a network of “fast-charging” electric chargers reaching from Cairns to Coolangatta. The result? An AU$3 million project that saw the installation of 17 fast chargers north and south of Brisbane and west of Toowoomba. To guarantee this system of chargers has a positive impact on the environment, the electricity for each station will be generated from renewable energy sources. The network of charging stations allows Australians to drive from Queensland’s far north to its southern border. An ambitious goal, it underscores the nation’s commitment to make electric vehicles a viable transportation solution. The vast majority of charging stations were constructed by Tritium, a Brisbane company. Tritium has already installed Veefil fast chargers to nations across Europe. EVLink provided a small number of chargers, manufactured by Schneider Electric, for the project, too. Although the project initially called for the installation of 18 electric chargers, technical difficulties have delayed the station at Helensvale until April. The installation of the chargers is scheduled after the Gold Coast’s Commonwealth Games. Nonetheless, even a small electric sedan can close the 98-kilometre distance between Brisbane and the next closest charging facility in Tugun. In its current configuration, the Queensland electric superhighway represents the longest electric vehicle thoroughfare in a single state. Of course, Queensland’s superhighway alone can’t correct the challenges that continue to plague Australia in its transition to cleaner transportation alternatives. Certainly, a lack of infrastructure for EVs represented a fourth, less conspicuous issue. But states like Queensland are working hard to resolve this. What’s more, concerned citizens are calling for intervention at the state and national level to encourage more consumers to go electric. These governmental incentives could include discounts for state registration and federal luxury car tax. Another factor that has contributed to poor electric vehicle sales is lagging information to the public. Most people prove familiar with “wall system” charging stations suitable for homes. But these require inconvenient overnight charging. Fortunately, fast chargers have cut that time down to one hour or less. This rapid charging makes the proposition of an electric vehicle road trip along Queensland’s beautiful coast all the more palatable. It could also have a positive impact on local businesses. Instead of passing through, drivers would have time to spend while waiting for their vehicle to charge fully. Over the long haul, this could infuse local economies with more foot traffic and a resurgence of pedestrians and activity. But how much do these fast chargers cost for users? Based on an analysis by Canstar Blue of a Tesla Model S, AU$1.50 daily or AU$40 monthly. This study was based on an electricity plan that charges 23 cents per kilowatt-hour and a typical daily commute of 30 kilometres. Today’s electric vehicle batteries range anywhere from 330kWh capacities to 100kWh capacities. But they have been historically limited to the pricy BMW i3 and equally pricy Tesla Roadster, Model S, and Model X. Fortunately, a new generation of electric vehicles are coming on the Australian market that proves more affordable and convenient. These include the Hyundai Ioniq Electric, the Nissan Leaf, and the Tesla Model 3, to name a few. Let’s compare their amenities and capabilities. Hyundai’s new Ioniq model comes in three different types. Fully electric, hybrid, and hybrid plug-in EV. Launched in the third quarter of 2018, each represents a vibrant new option for Australian drivers appealing to diverse tastes and lifestyles. The Ioniq is powered by a 28 kWh lithium-ion battery hooked up to the electric motor. The electric motor’s power is nothing to write home about, but at 88 kW of power and 295Nm of torque, it ranks up there with many other small cars. It boasts a travel distance of 280 kilometres between charges. Couple this with the attainable price tag of AU$38,500, and you have a tempting vehicle for daily commuters who want to make a positive difference when it comes to the planet. Hyundai also has plans to introduce the Kona crossover, known as the Kona Electric. This vehicle comes in two flavours, one with a 300-kilometre range and one with a 470-kilometre range. The long-range Kona Electric can go from zero to 100 km/h per hour in just 7.4 seconds, and its electric engine has some serious muscle at 150kW and 395Nm. It’s earned acclaim, and Hyundai Australia has prioritised its sale. Relying on AC power, the long-range Kona Electric will charge to full capacity in just under 10 hours from a wall unit. What’s more, at fast charging units, it’ll prove ready to go in under an hour. Don’t let the brand name fool you. The Tesla Model 3 is slated to become the company’s biggest hit once production gets moving. And one of the main reasons is because of its more affordable price tag, coming in around AU$45,670. Roughly the same size as the BMW 3 Series, this Tesla could hit the Australian market as soon as 2019. The standard offering boasts a driving range of 355 kilometres and the ability to surge from zero to 97 kilometres in just 5.6 seconds. The long-range model claims a reliable 500-kilometre range. The Nissan Leaf’s 2018 version proves roomier and features new technology such as semi-autonomous driving. It also boasts a larger battery pack, which means more overall range. It can go up to 400 kilometres on one charge and races from zero to 200 kilometres in about 10 seconds. Better yet, it doesn’t have the weird, spaceship-like appearance of earlier models. For those with discerning tastes and a little more in their pocketbooks, there’s also the Jaguar I-Pace. While it doesn’t necessarily come in as a highly affordable vehicle, it’s worth a mention because of its sleek design and serious power. First revealed at the 2017 Geneva Motor Show, the streamlined design of this SUV is already available in Australia. Powered by two electric motors (each axle gets ones), it powers through at 294kW and 680Nm. It claims a sprint of zero to 100 kilometres in under five seconds and can operate for up to 480 kilometres from one charge. Its battery pack comes in at 90kWh, and while you’ll pay for its power and brand name, this car will change your view of what an electric vehicle can be. It comes in at AU$119,000 and is definitely worth a spin. Are You Ready for Zero Emission Vehicles? The next generation of electric cars proves sleek, powerful, and more affordable than ever before. They come with more room, loads of new technologies, and increased battery endurance, which translates into less EV range anxiety for you. What’s more cities and states around Australia are working hard to construct a network of fast chargers to support their use. From Tully to Mackay, Springfield to Toowoomba, the electric highway is here to stay. And the growth of this technology will continue to have a major impact on how Australians live, work, and play. Are you interested in learning more about the benefits of electric vehicles? Or, looking for electric vehicles for sale? Check out our blog to stay on top of the latest news about the fast-paced, innovative world of electric vehicles. If you’ve never heard of EV range anxiety, you’re not alone. Electric Car Range Anxiety was relatively unknown. Until now. The rise in the popularity of electric cars has the potential to reach beyond the automotive industry. Transport accounts for a considerable portion of global emissions and this shift could significantly reduce that. Is driving your electric vehicle stressing you out? You might have EV range anxiety. Learn more about what it is and how to cope with it. For all of the excitement and conversation, electric vehicles made up only 0.2 per cent of passenger vehicles worldwide in 2016, according to the International Energy Agency. What is EV Range Anxiety? Range Anxiety or EV Range Anxiety can be described as a constant worrying feeling that your electric vehicle (EV) won’t have enough juice to complete your trip. This nagging feeling that you won’t make it to the next charging station has plagued users since the first consumer battery-powered vehicles. While everything else about electric vehicles seems to be great, the plugging them in part is causing issues. It’s similar to stressing about your cellphone battery lasting through the day without a portable charger. People describe it as a lack of control they don’t feel comfortable with. This feeling is not unwarranted, as limited charging infrastructure has been a real issue. Along with this, range limitations cause people to distrust their electric car’s mileage abilities. Close your eyes and imagine this. You’re cruising along in your new electric vehicle, saving money on fuel and doing good for the environment. Everyone is envious of your cutting-edge lifestyle, and life is pretty good. But then you glance over your dashboard and realise your battery is running pretty low. You pass gas stations knowing they can’t help you. You need juice, and you need it quick. But where will you go? If you’re in an unfamiliar area, you’re even more stressed out. Will the nearest shopping mall be close enough? And will it also have a charging station? Your battery is now perilously low. Your options are running thin. It’s a fear that haunts many electric vehicle owners: Where will they charge their car? You’ll be happy to know that these days, electric car makers are improving and expanding EV users experience. While there are still limited charging options for people who can’t charge their cars at home, investors, automakers and local and state governments have realised that changes need to happen. For those wanting to travel long distances with their EV, the good news is that many improvements have already happened. The average range of electric cars has almost doubled in recent years. A vastly improved range, more charging networks, and new apps to map and locate charging spots are some examples of the way different stakeholders are working together to improve EV range anxiety. Because of this, range anxiety should begin to fade. Unfortunately, the reality is that many people still feel anxious. Research shows that EV range anxiety is still one of the most commonly given reasons for not purchasing an electric car. As mentioned, EV ranges have improved to a point where one charge a week should be sufficient. Technically, people have no reason to feel as though they won’t make it to their destination. As long as they charge their car every week, their anxiety should decrease. The average driver’s commute in total per week was worked out at about 265 miles. This amount includes work, school and pleasure commutes. Electric cars such as the Tesla Model S and the Hyundai Kona Electric can easily cover this distance. Car brands adding electric options to their fleets are branching into individual charging stations, as a further method of quelling EV range anxiety. In the future, charging stations will be evenly divided into public and private. Public stations are the leading option at the moment. They’re the chargers anyone can use at hotels, shopping malls and other locations where people spend a few hours. Private stations are on the rise. Private stations are located at people’s homes or places of work. A wide variety of carmakers are adding charging networks, electrifying dealerships and especially creating individual charging networks. Tesla has already added supercharging stations to its global offer as part of its goal to produce a million electric cars by 2025. There’s a bunch of good reasons for making the electric switch. Firstly, you’ll avoid the frustration and uncertainty of fluctuating fuel prices, you’ll have a better environmental footprint, and you’ll save money on car maintenance. The potential savings on car maintenance is one of the leading reasons people choose electric vehicles. Less time and money spent at the mechanic is a definite draw-card. However, this, of course, doesn’t mean you’ll avoid all maintenance on your EV. Conducting the necessary maintenance and care of an electric vehicle will also help your peace of mind. Read on to find tips for ensuring you experience the least possible anxiety relating to your electric vehicle. The motor of your vehicle is one of the most important elements of maintenance. In most cases, the motor of your EV will need far less maintenance than a tradition combustion engine. Changing the oil and replacing fuel filters are examples of small but frequent maintenance issues that you don’t have to think about. Fewer parts to worry about also make things much easier to maintain. But remember, to keep your car in tip-top condition, you should have it serviced once a year by someone with EV experience. Battery blues is a tricky one, as it’s tempting to charge your battery each time fully. The best way of going about this is to attempt to charge the battery to 80%. Fully charging it each time can cause problems for your battery in the long run. Along with this, be mindful about allowing your car to stand with little or no charge for long periods. Having low charge for prolonged periods is as bad for your EV batteries as overcharging. If possible, don’t leave your car with a tiny amount of charge for more than two weeks at a time. This point also relates to battery health and longevity. If you follow these tips, you’ll ensure the battery of your EV lasts for as long as possible. Besides, if you take good care of your electric battery, you’ll allow the battery to be re-used. Once the battery isn’t strong enough to power your car, if it’s in good enough condition, it can be re-used providing a variety of environmental benefits. To keep your battery in great shape, you should try to park in the shade wherever possible. It may come as a surprise to you that parking out of the sun will promote the health and longevity of your battery. This is because the thermal management system in your car will keep running when you park in the sun. Your battery also runs the risk of overheating. Lastly, it’ll take your battery longer to charge in the heat. If you’re thinking about switching to electric, look no further. Remember, if you follow the tips mentioned above, you’ll not only benefit the maintenance of your EV, you’ll also help lower your EV range anxiety. A well-cared-for car will reward you with prime performance and optimum safety. A few other, mindful habits will ensure your EV runs at the desired level. It’s no surprise that electric vehicle sales are predicted to skyrocket over the next few years. In a few decades, the idea is that all vehicles should be electric. Because of this, we need to pay attention to the EV range anxiety that people experience. There are ways around this anxiety, especially if you’re aware of the facts. Please contact us for more information about owning an electric vehicle of your own. We’re more than happy to guide you through the process so that you feel as little EV anxiety as possible. As more and more people seriously consider making the switch to electric vehicles, perhaps you’ve also thought about if it’s the right choice for you. There are numerous benefits when it comes to driving an electric car. You’ll have less of an impact on the environment, you’ll escape the uncertainty of fluctuating fuel prices, and you’ll save money on electric car maintenance. This last point, in particular, is why so many people are interested in driving electric vehicles. And while it’s certainly true that you won’t need to see your mechanic as often, this doesn’t mean that you don’t need to conduct standard maintenance on electric cars. What should you do to ensure your electric vehicle continues to run safely? In it, we’ll tell you all about some of the most important things you need to do to keep an electric vehicle in good working order. Let’s begin by talking about one of the essential elements of maintenance on electric cars: the motor itself. Yes, it is true that, in most cases, your electric car’s motor won’t need the same level of maintenance that a traditional combustion engine would. You’ll also have fewer parts to deal with and can eliminate basic things like switching out the oil and even replacing fuel filters. Though this certainly makes things much easier, it’s important that you don’t neglect the things you do need to look after. For best results, you should get an electric car’s motor serviced as often as you would a traditional vehicle. Whenever possible, aim to work with a mechanic that has specific experience with electric vehicles and engines. You likely know that electric vehicles use what’s known as regenerative braking. Regenerative braking helps you to keep your brake pads in good working order for as long as is possible. In some cases, you may have to replace them up to two times less frequently than on a traditional vehicle. When you brake in your electric car, the kinetic energy is converted into electricity that helps you to power your vehicle. The process is certainly impressive — however, it doesn’t mean you can avoid servicing your brakes altogether. Let’s talk about one more thing that you can do to preserve both the brakes and the battery. Whenever possible, try to avoid driving at high speeds. Conserving speed will ensure that your battery lasts for longer, and of course, also prevents you from needing to slam on the brakes. If you can’t slow down? Try to pre-plan your route so that you avoid heavy traffic. It might sound a bit obvious, but the truth is that it can make a serious difference. Another part of proper electric car maintenance? Ensure that you understand how to keep your battery running for as long as possible. Believe it or not, one of the best things that you can do to extend the overall life of your battery is to park your car in the shade when possible. While of course, this will ensure that your car’s temperature remains comfortable on a hot day, it’s about much more than that. The thermal management system will respond to the heat and will keep running in the sun. Additionally, you also run the risk of having your battery overheat if you park in a hot spot for a long time. You don’t want to come back to a car that has a much lower battery life than it did when you left it. Another important thing to keep in mind when it comes to your battery and the sun? Especially if you have to charge outside, give yourself a bit more time than you usually would. The heat makes it more difficult for the batter to charge promptly. Taking good care of your electric battery means that they can be re-used once they’ve run out of enough strength to power your car, as well. Batteries offer numerous environmental benefits, which, as an electric car driver, may be a priority for you. Here’s another electric vehicle maintenance tip that relates to battery life? It might sound counterintuitive at first, but we strongly suggest resisting the temptation to charge your battery all the time fully. Whether you want to preserve the battery on a golf cart or in a standard electric car, overcharging can cause serious problems. A good rule of thumb to avoid wearing down the battery prematurely? Aim to charge the car’s battery to only about 80%. Another “charing rule” for your electric vehicle? Make it a point not to leave your car with little — or even no — charge for an extended period. Just as with overcharging, this can negatively impact the battery’s health. For best results, don’t leave your car with a small amount of charge for more than two weeks at a time. One final thing to keep in mind when it comes to electric car maintenance? Just because you’re driving an electric vehicle, doesn’t mean that standard car maintenance rules don’t apply. For example, when was the last time you had your tyres rotated? What does the tread on them look like at the moment? What about the coolant levels in your vehicle? Make sure that your vehicle has enough coolant to keep everything in good working order. Additionally, remember that you need to replace your car’s wiper blades about twice a year. Depending on the sorts of conditions you usually drive in, they may get worn down faster or slower than that. Of course, there are a few things that you no longer have to worry about when it when you’re driving an electric vehicle. You won’t need to concern yourself with oil changes, nor will you need to worry about your spark plugs. However, don’t become complacent when it comes to the rest of your standard car care. Make sure that you replace the car’s wiper fluid as often as you would with a conventional vehicle. Above all, go with your gut. If you suspect that there’s some issue with your vehicle? Take it in and have it examined by a professional at the very first sign of trouble. Doing this can save you severe headaches down the line. So, you’ll be heading out on a fabulous vacation for a few weeks in the summer. Make sure that you’ve made specific plans for your electric vehicle’s storage before you fly away. Never leave it in an uncovered parking lot if at all possible. Depending on the length of your trip, we suggest that you set the car to charge only up to about 50%. This way, especially if you leave it plugged in, you won’t be at the risk of overcharging it. If you’re able to have someone come and unplug your car while you’re away, this can also help to protect the overall battery life. If you’re able, take a cab to the airport. Don’t leave your electric vehicle in the airport parking lot. Of course, when you’re in a bind, we completely understand that you can’t always avoid using a quick charge on your electric vehicle. But, as with charging the car to the maximum, this is something that you want to limit because each quick charge has an impact on the battery’s overall lifespan. If you use this feature too often, you’ll end up taking years off of the battery’s overall lifespan. As these can be expensive to replace, this is a situation you’d like to avoid. We hope that this post has helped you to understand some of the most important things you need to consider when it comes to electric car maintenance. Remember to take good care of the motor, ensure you’re parking in the right places, and understand what’s different about regenerative brakes. Has this post convinced you that making the switch to an electric car is something you’re interested in doing? Want to learn more about the specific models available to you? We’re here to help you with all that and more. Browse through our excellent inventory of electric vehicles to find the perfect match for you. Be sure to keep checking back in with our blog for more advice on how to take the best possible care of your electric car.